I have decided not to eat dinner out during the month of February. For a NYC gal who loves going to restaurants this is an EXTREMELY difficult feat to embark on! My best friend came up to NYC for a visit this past weekend and I knew that if I was going to convince her that eating out was not all it is cracked up to be, I needed to find some AMAZING recipes! Enter my grand idea...GNOCCHI with VODKA SAUCE!!!! So after a long day of doing everything other then researching recipes I quickly googled gnocchi recipes and printed out 4! Being that none were gluten free I decided to come of up with a blend of all 4. I had potatoes, rice flour, potato starch, corn starch, eggs and parmesan cheese…the rest of the ingredients on the lists were either not gfree or not in my pantry. I hope you enjoy this recipe. Let me know how it goes for you! Make mashed potatoes aka boil potatoes and mash! Simmer the marinara sauce and vodka in a heavy large skillet over low heat until the mixture reduces by 1/4, stirring often, about 20 minutes. Stir the cream into the tomato and vodka sauce. Simmer over low heat until the sauce is heated through. Stir in the Parmesan cheese until melted and well blended. All of these snacks are easy to grab on the go or keep in your purse/car/desk for easy access. 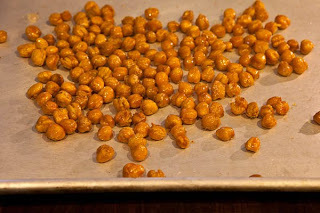 Make a bunch of the homemade snacks, they last for a very long time - if you don't eat them first! If you don't like any of these options - stick to the basics: fruits and veggies! Happy Snacking! That's all for now, check back later this week for more Gluten Free Gossip! Well, GlutenFreeGossip is back! I know it has been a VERY long time since I last posted, but after a number of requests I have decided to re-start GlutenFreeGossip and @glutengossip! There is no way to update this site with all the gluten free discoveries I have made over the past year and a half, but I am going to make an effort to include all the important information throughout my first few entries. I would like to re-start this blog with my favorite topic: Restaurants! Dakshin II: Indian cuisine, 54 First Ave -Recommendation: try the dosa, but everything is delish! Calle Ocho: Mexican cuisine, 446 Columbus Ave - Recommendation: go for brunch – all you can drink sangria is amazing! For now that is all, please check back later this week for more Gluten Free Gossip! Yesterday I was interviewed by Jenn Brockman from Blog Talk Radio. She asked me all about my life with Celiac Disease! If you have some free time listen to the interview! Last weekend I went down to Washington DC to visit my best friend for my birthday and the two of us went to the Gluten Free Cooking Spree in Bethesda, MD. The event, which was held in the Hyatt, was very different then any of the other gluten free events I have been to in the past. The Cooking Spree was almost like a cocktail party with gluten free foods. There were food stations set up on the perimeter of room. Each station was showcasing their “best” gluten free menu item. Being that I am not from DC most of the restaurants were new to me. The event also showcased some well known speakers. The most memorable was Dr. Bob Anderson, a recognized international leader in the immunology and clinical management of celiac disease from Australia, spoke about his recent work on groundbreaking celiac treatment trial. He emphasized the necessity for diagnosing the enormous number of people around the world living with celiac disease as well as eventually finding a cure. He stated that the US is one of the farthest behind in diagnosing and awareness. Some other speakers were Linda Arterburn, Vice President-Development for Alba Therapeutics Corporation which is currently working on celiac treatment study and Dr. Vikki Petersen, a Chiropractor and Certified Clinical Nutritionist. There was also a “best tasting dish” contest in which each of the restaurant food stations presented their dishes to a panel of judges. The best part was that everyone was able to taste the food which was being judged. The restaurants that participated were Wildfire Restaurant (bacon wrapped scallop), Lilit Café (crab cake), Jaleo (endives), Pete’s New Haven Style Apizza (pizza), Legal Sea Foods (Paella), Peacock Grand Café (tuna), Sweet Sin (Lamb Chops) and Zengo(scallops). A separate dessert table was set up as well. In my opinion the most note worthy dessert was the Starbucks new gluten free cake which was not yet out in stores. It was delish! Cherry Blossom Cakes was also there, although, I am privy to Babycakes in NYC. A silent auction was also held in a separate area along with a small vendor sampling area which included booths from Joan’s (my FAVORITE bagels! ), Snikiddy, Mahatma Rice, Cabot Cheese, among a few others. Wegman’s grocery store also provided a great gift bag as we left the event. Overall, the event was a classy affair which I found very enjoyable. I did notice that the event attendees were not as warm as past events. One of the best parts of attending GF events is meeting the people; I have found that most people are willing to talk and share their stories. However, I felt that this event people tended to stay to themselves. The food was great and the wine and beer were flowing! Last week I attended the Thrive Allergy and Gluten Free Expo in Chicago. Thrive was a two day event (April 18-19) which show cased a number of gluten free vendors. The event, which was held at Chicago's convention center, McCormick Place, provided a large forum for a number of gluten free specialist to share information. The event consisted of a number of speakers, cooking demonstrations as well as booths displaying gluten free products for taste testing and purchasing. The Expo also had booths for people with asthma, skin allergies, and nut allergies. Most of the booths carrying gluten free foods were local Chicago retailers who specialize in gluten free and allergy free specialties. About 90% of the vendors were displaying baked goods, which I expected. I spent the day taste testing and talking with all the vendors supplying GF products. Overall this was a great event, I was able to meet a number of knowledgeable gluten free experts in the Chicago area. I am planning to back to Chicago August 15-16 for the Gluten Free Cooking Expo. Below are the pictures of the Kosher for Passover Wines we drank over the past week. Incase the pictures are not clear I have provided a list as well. My list is ranked 1 being the best 5 being the worst...let me know what you think about my ranking system!